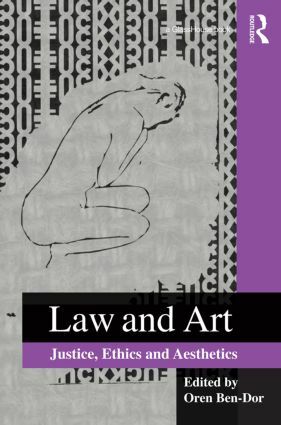 In　engaging with the full range of 'the arts', contributors to this volume　consider the relationship between law, justice, the ethical and the aesthetic. Art continually informs the ethics of a legal theory concerned to address how theoretical abstractions and concrete oppressions overlook singularity and spontaneity. Indeed, the exercise of the legal role and the scholarly understanding of legal texts were classically defined as ars iuris - an art of law - which drew on the panoply of humanist disciplines, from philology to fine art. That tradition has fallen by the wayside, particularly in the wake of modernism. But approaching art in that way risks distorting the very inexpressibility　to which art is attentive and responsive, whilst remaining a custodian of its mystery. The novelty and ambition of this book, then, is to elicit, in very different ways, styles and orientations, the importance of the relationship between law and art. What can law and art bring to one another, and what can their relationship tell us about how truth relates to power? The insights presented in this collection disturb and supplement conventional accounts of justice; inaugurating new possibilities for addressing the origin of violence in our world.